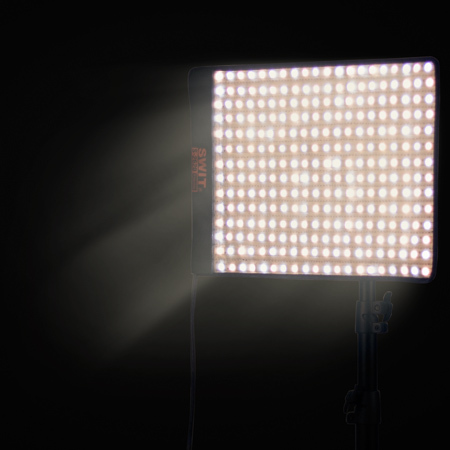 S-2620 is a flexible LED light with 280pcs SMD surface mounted LEDs, and can be curved to any shapes to output 10°-360°various lighting angles, which can be widely used on field video production especially the lighting in narrow space. 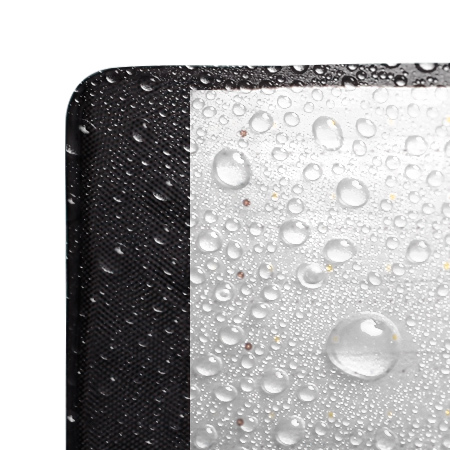 The flexible fabric has rain-proof cover to protect the LED from water during outdoor using. And the fabric is easy to clean by water. S-2620 outputs 50W power, feeds 1200Lux luminance at 1 meter distance (center), supports 0% to 100% PWM digital dimming, smoothly and non-flickering. S-2620 alternated with 5600K and 3200K LEDs, and the output color temperature can be continuously adjustable between 3200K and 5600K. 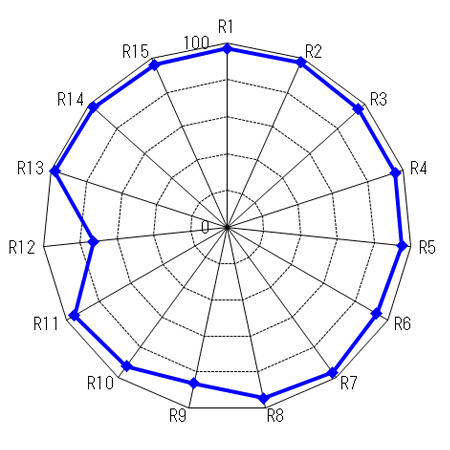 The normal LED light has 80-85 CRI or TLCI, while S-2620 offers the super high CRI at 97 and TLCI at 97, and will not lost the object original colors. 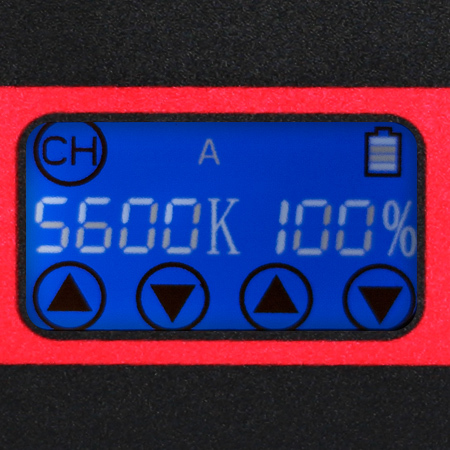 S-2620 control box is equipped with an LCD panel, to display dimmer value, color temperature value, battery status and wireless channel. Touch up/down buttons to control. 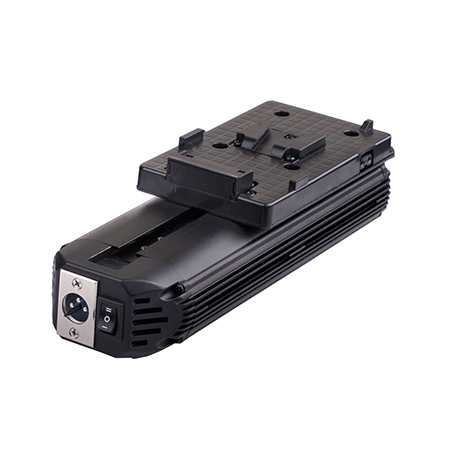 S-2620 supports 11-17V 4-pin XLR DC input, and equipped with a battery plate to power by V-mount battery. 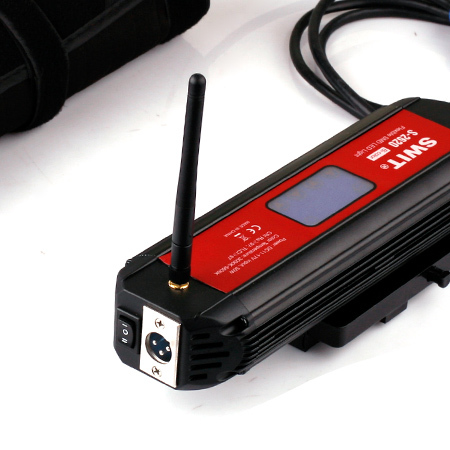 S-2620 supports 2.4G wireless networking. The control box provides A, B, C, D 4 wireless channels, and you can set several S-2620 lights at the same channel, so that you can control all the lights by any of the control box. 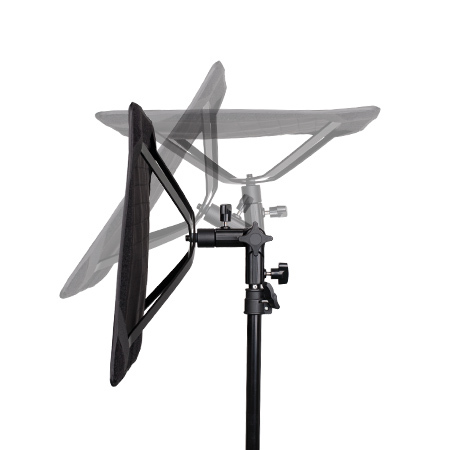 S-2620 standard package provides a foldable X bracket, to set the light on tripod. Support 0°-180° tilt angle.